Indonesian politician Fahira Idris called on health authorities to carry out additional diagnostic checks on infants. 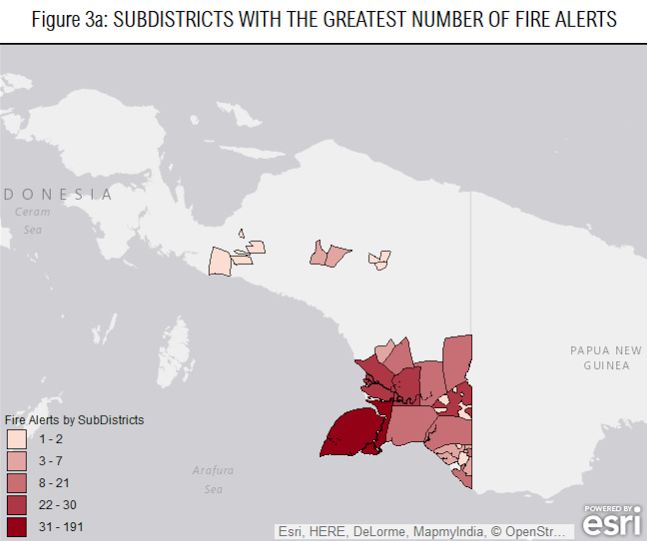 Data from a NASA satellite show hundreds of fires have burned in Papua over the last week. The minster in charge of Indonesia haze operation said the situation deteriorated Friday as air quality in Palangkaraya descended to dangerous levels. 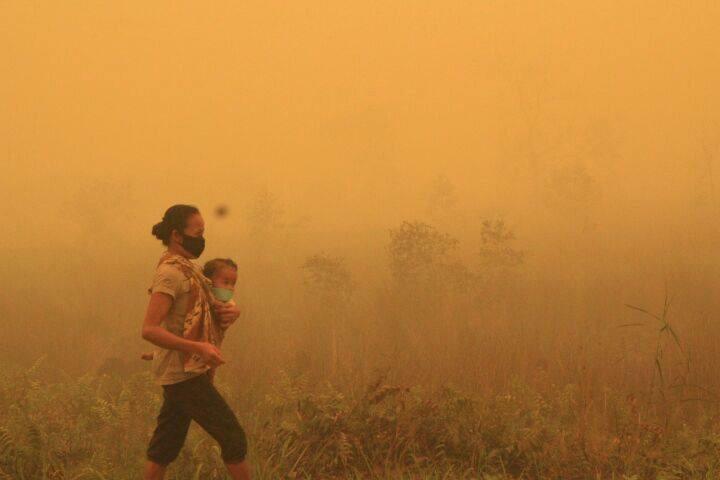 Indonesia’s ability to treat potentially fatal haze-related illnesses is being drawn into sharper focus after a politician called on health authorities to treat infants regardless of whether their families are covered by state health insurance. 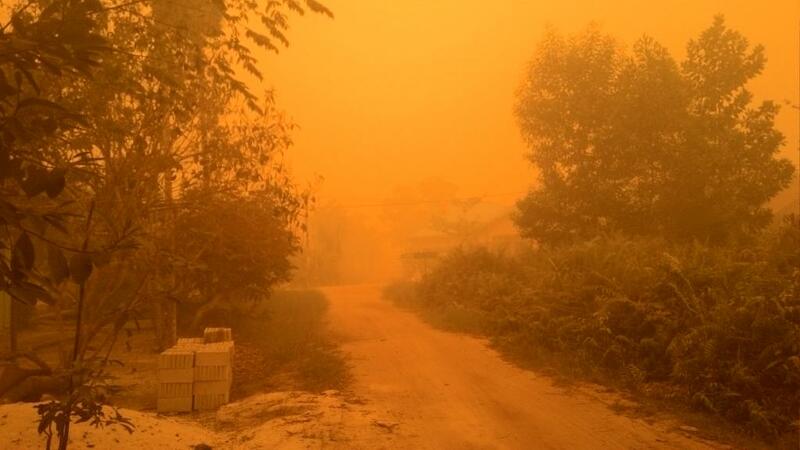 Potentially fatal air quality returned to the capital of Central Kalimantan province on Friday as Indonesia’s meteorology agency recorded the local pollutant index at 1272, far exceeding the “dangerous” threshold. Air quality in the South Sumatra capital Palembang was in the “unhealthy” range at 257, while Jambi was declared “hazardous” at 568. “Today things deteriorated again,” coordinating security minister Luhut Pandjaitan said at Indonesia’s parliament on Friday. “The number of hotspots reached 1,005 at 7 a.m.
An image posted on Twitter purporting to show Palangkaraya at 3 p.m. local time. As air quality worsened on Friday, Indonesian media continued to publish reports of infant deaths due to respiratory diseases. Three babies are reported to have died in Palembang alone so far, though the number has not been verified. The case of Latifa Ramadani, in particular, is being cited by Indonesian politicians seeking immediate free healthcare for infants in affected areas. Fifteen-month-old Latifa is reported to have died from a respiratory infection. She is understood to have been moved from intensive care in one of the city’s better-equipped hospitals to a lower-grade facility after her parents were unable to meet her medical bills. The case is instructive of the fatal consequences of the haze and Indonesia’s inability to provide adequate treatment to those most at risk. A senior politician in the upper chamber of Indonesia’s parliament has taken up Latifa’s case. Fahira Idris called on local health authorities in Sumatra and Kalimantan to perform additional checks on babies and toddlers regardless of whether they are covered by Indonesia’s new health insurance scheme. “If the baby’s parents had not had to transfer her to another hospital because of funding constraints maybe her life could have been saved,” Fahira told Indonesian newspaper Republika. The politician added that frontline healthcare workers should perform additional checks on infants diagnosed with ostensibly unrelated symptoms such as diarrhea. Air quality in Singapore remained in the lower end of the “unhealthy” range on Friday as the city state’s environment agency warned prevailing winds could bring more haze over the weekend. The Washington correspondent of Singapore’s main state newspaper, the Straits Times, writes that Indonesia and the region could learn from the U.S. and Canada’s approach to combating wildfires. 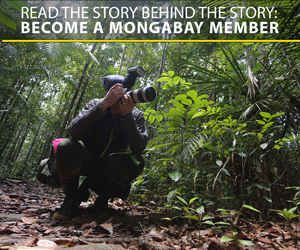 Elsewhere, one Singaporean writes of his recent experiences delivering free face masks in Palangkaraya. Malaysian Prime Minster Najib Razak used his speech at a regional summit to call on the scientific community to innovate means of addressing the causes of wildfires. “We have suffered from the haze problem for 18 years and I hope our science advisers can advise the countries concerned on how to cope with slash and burns and how do you prevent fire in peatlands, whether it’s deliberate or due to climate change,” Najib said. While most coverage of this year’s crisis has focused on Kalimantan and Sumatra, the region of Papua in Indonesia’s far east is also burning. 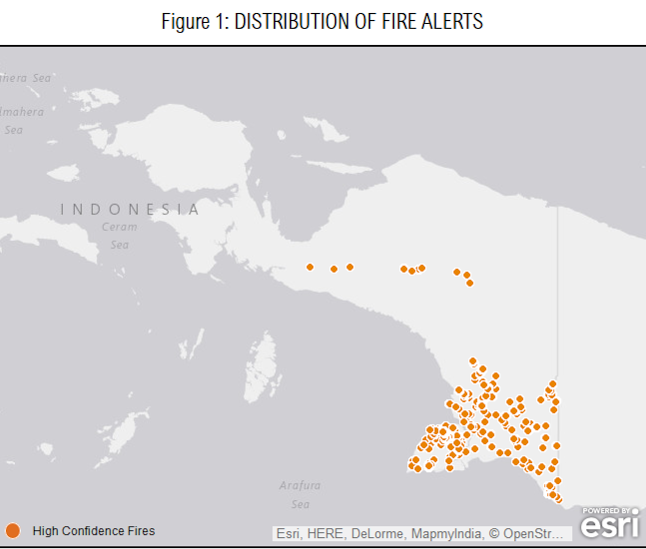 Data from Nasa’s MODIS satellite show that in the last week there have been 283 “high-confidence” fires in Merauke regency alone.